A baby shower is a wonderful way for family and friends to come together to celebrate the pending arrival of a new baby. But planning one can be stressful, especially if there are a lot of unanswered etiquette questions: Who should host? Can there be multiple showers? Is it rude to ask for gifts? 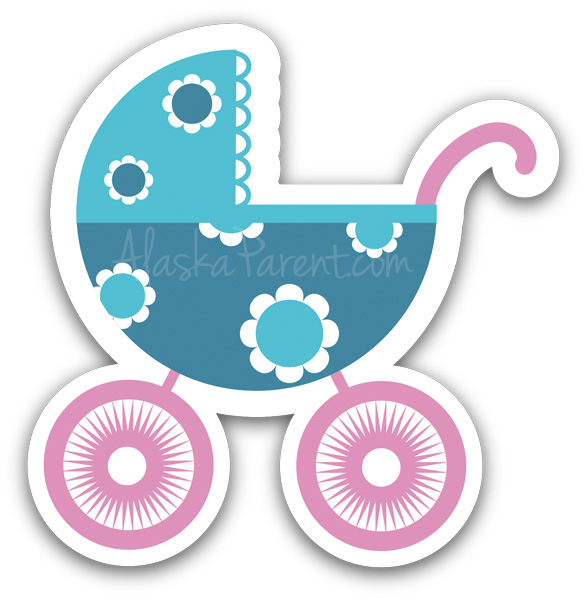 To help us brush up on the baby shower basics and avoid any social blunders, we turn to Alaska’s top party planning pros for some of their best tips. Who should host and organize the party? Can I throw a baby shower for myself or is that a no-no? There is no definite rule regarding who should host the shower, though the task usually falls to the mom-to-be’s close family, such as her mother, grandmother, aunt or sister, or close friends, says Amanda Talyat of Alaskan Elegance. Sometimes, hosting duties are shared by family and friends. “It’s not uncommon for more than one person to do it,” she says. If nobody steps up to host your shower, consider asking someone to serve as host, rather than throwing one for yourself. “It looks a bit greedy to host your own party where guests bring gifts,” says Heather Siegel of Beginning 2 End. Many women like to wait until they have a significant baby bump, which is usually around seven or eight months pregnant, Amanda says. But others, whether for personal or religious reasons, may want to wait until after the baby is born. Much like who should host the shower, there is no hard and fast rule about when it should be held. Who should be invited and how many guests are too many? Baby showers are usually more intimate than other parties, with the typical guest list not exceeding 15 or 20 people, Amanda says. And most of the invitees are close family and friends, so don’t feel obligated to invite your co-workers, she adds (though it’s not uncommon for co-workers to throw an office shower to celebrate). When creating the guest list, make sure it isn’t so large that the host and mother-to-be won’t have the chance to personally thank each person in attendance, Heather says. “Everyone wants to feel special for being invited, not just another gift giver,” she says. Can I have more than one baby shower organized for me (with different hosts and organizers for each baby shower)? Absolutely. Having several small, intimate showers makes the event less chaotic and more fun for everyone, and avoids the awkwardness of having too many guests who don’t know each other, Heather says. Mothers-to-be to be often have one shower with family, another with friends and a third with co-workers. Just make sure that no guest is invited to more than one shower, Amanda says. What is the best way to get the word out – is an email invite ok? Heather thinks a “good old-fashioned” paper invitation is the way to go, but says you can go modern and request RSVPs via text or email. But Amanda says that people’s increased use of technology means it’s not uncommon for invitations to be sent out via email, online invitations, or even Facebook. Is it ok if the invitation includes registry information? After all, it’s a waste of everyone’s efforts to get gifts I don’t really need! A baby shower is one of the few occasions where etiquette permits asking for gifts. Omitting registry details means guests will either inundate the host with phone calls asking for the information, or waste time searching online, she adds. So make it easy on everybody and include registry information. If you simply can’t bring yourself to include the registry information on the actual invitation, add it on a cute insert instead, Erin says. Who pays for the shower? Is it only the host or can the costs be split up? The host (or hosts) traditionally pay for the shower. If you want something more elaborate than what the host is able or willing to pay for, then it’s perfectly acceptable to offer to help defray some of the costs. If, however, you ask a friend or family member to host the shower, you should plan on paying for it yourself, or at the very least pitching in, Heather says. I’m pregnant with my second child and I’m wondering if it’s ok to throw a second baby shower. I’ve heard that it’s traditionally unacceptable but I do think every baby deserves its own celebration. Advice? Traditionally, unless the second baby was a different gender, or if there was a large age gap between the children, throwing a baby shower for a subsequent pregnancy “was kind of a faux pas,” Erin says. That taboo isn’t as strong today, but showers for subsequent children are usually more low-key – think diapers as gifts instead of cribs and car seats, minimal to no decorations, or an afternoon mingling with friends versus a game-heavy shower. If the idea of a second shower still makes you squeamish, consider holding a “meet our new family member” party after the baby is born and everybody’s settled in, Heather says. Is it ok to invite the father-to-be and his friends? Inviting the father-to-be and his friends (or even male friends of the mother-to-be) is very common nowadays, Amanda adds. So if the mother-to-be doesn’t want the typical, ladies-only party, feel free to invite the men. The guests belong to different social circles, so how can I, the host, help break the ice and get everyone to feel comfortable together? Any tips? Chances are that while some of the guests may not know each other, they’ve at least heard of each other from the mother-to-be. So try to make introductions as guests come in, Amanda says, to help them put faces to names and get them talking. Playing a game right off the bat is another great way to get guests interacting and help break the ice, she adds. And don’t underestimate the power of a glass of wine. For décor, what are some simple, thoughtful ways to add a great festive feel without going overboard (and breaking the bank)? It’s easy to quickly go overboard with decorations. To rein it in, Erin suggests first choosing a color scheme (which may be the planned colors for the baby’s nursery). If you want to decorate beyond that, search Pinterest for simple decorating ideas you can do yourself. Tissue paper pom-poms come in a variety of sizes and colors, and can be hung from the ceiling or used as table decorations, she says. Balloons can be filled with sprinkles or sparkles and hung from the ceiling as well, and taffeta and organza can be draped along the table or other fixtures, she says. Even the food can become part of the decorations. Macaroons that match your color scheme, candies placed in glass jars or vases, and cupcakes or other desserts displayed on decorative cake stands all add a festive touch. The hostess is planning a traditional pink-and-white girl shower, but I hate pink. Is it ok to ask for what I want? How can I make my feelings known without hurting her feelings? It is absolutely okay to let the host know your wishes regarding the shower. “When you’re throwing someone else a party, you really should kind of honor their wishes,” Erin says. Since most showers are thrown by one of the mother-to-be’s close friends or family members, the host should know your likes and dislikes, Heather adds. And if they forget, kindly asking for certain details to be included – or excluded – shouldn’t be an issue. For the menu, what types of foods are best to serve? And is it ok to ask people to bring a dish, potluck-style, or is that tacky? Like any other party, keep the time of day and people invited in mind when you plan the menu, Heather says. So if you’re hosting the shower over lunch or dinner, expect to serve a real meal. If it’s an afternoon event, finger foods like mini sandwiches, chips and dip, and fruits and veggies are acceptable. If you want to host a potluck, Amanda suggests providing a main dish and asking guests to bring a side dish to share. Just make sure to coordinate with the guests so you don’t wind up with five of the same side, she adds. And while there’s nothing wrong with hosting a potluck shower, Heather says if you ask guests to bring a dish to share, you shouldn’t also expect them to bring a gift. Is it ok to serve alcohol at a baby shower? Unless 100 percent of the attendees are pregnant women, feel free to let the alcohol flow, Heather says. Amanda agrees that serving alcohol at a shower is fine, but suggests asking the mother-to-be right before the shower if she’s okay with it. Sometimes, as Amanda has witnessed, the mothers will be initially okay with the idea, but change their mind once the shower rolls around. Gift opening is the main event, but what are some other activities to help enliven the gathering (and don’t involve awkward games)? Have guests decorate a onesie (string them up on a clothesline and they’ll double duty as decorations) or write their best parenting tips in a keepsake book, Heather suggests. Sharing baby pictures of the parents-to-be is another fun activity. Or try a book exchange where, in lieu of cards, guests write their well-wishes in a children’s book. The book then becomes part of the child’s library, and the parents can re-read the well-wishes over the years as they read bedtime stories. Do I need to give out favors and/or prizes? It’s not mandatory, but if you decide to, don’t overthink it. “They really only make sense if they’re edible or something that people are really actually going to use,” Erin says. Personalized candies or chocolate, homemade sugar scrubs or picture frames are all easy, inexpensive and something guests will put to use. This elicited a resounding “yes” from all the experts. “Thank you cards are a must anytime you’re the guest of honor at a party and people bring you gifts,” Heather says. Personalize each note with a short message or mention of the specific gift you received, and try to get them in the mail within two to four weeks of the shower, Erin says.